Strong City Baltimore names Securityplus Corporate Citizen of the Year. 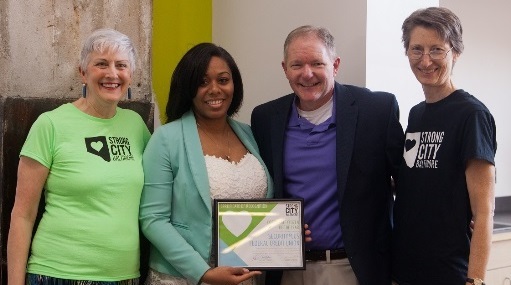 Securityplus was named Corporate Citizen of the Year by local non-profit, Strong City Baltimore. In September, Securityplus hosted a city shred day raising over $11,000 to benefit Strong City Baltimore in its mission to build and strengthen neighborhoods and people. Securityplus Federal Credit Union is a $380 million not-for-profit, member-owned, full service financial institution, with six branches. Securityplus serves over 34,000 members in the greater Baltimore community.